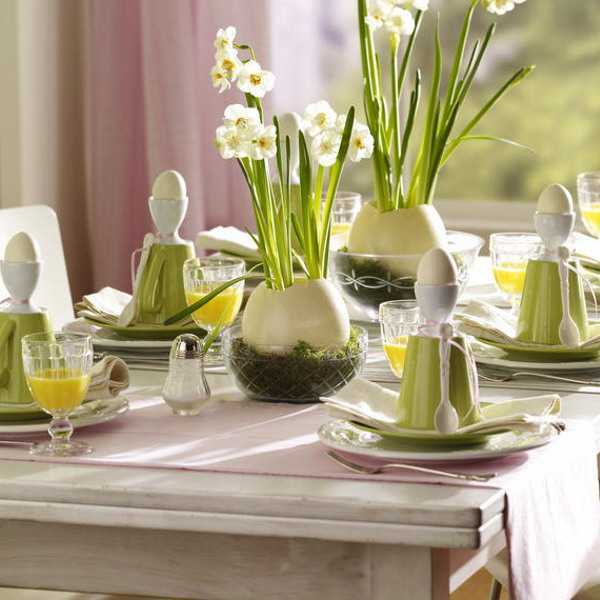 Egg shell candles centerpieces and table decorations bring creative designs and light up Easter ideas. 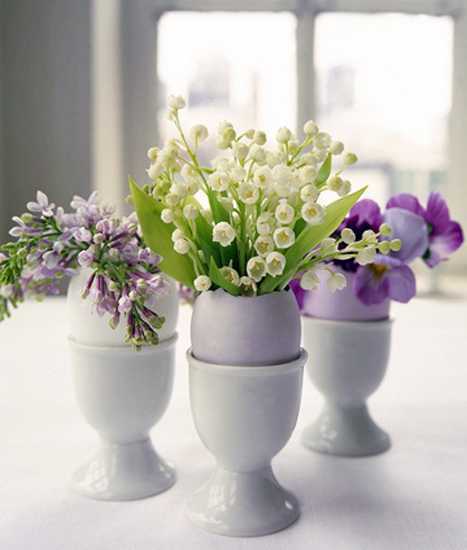 White or colored egg shells make excellent, tender and natural candle holders and mini vases for floral arrangements. 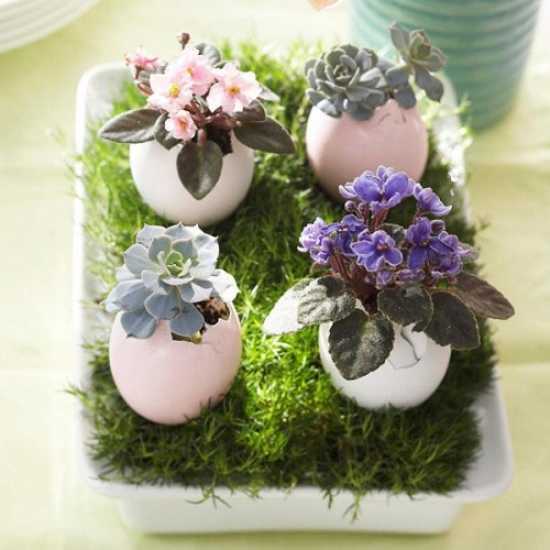 You can use small and large egg shells and create stunning Easter table decor and spring decorating ideas. 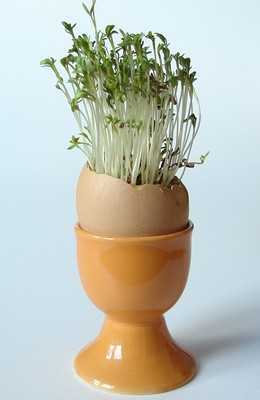 Brightly colored or white eggs make lovely eggcups for candles and small spring flowers. 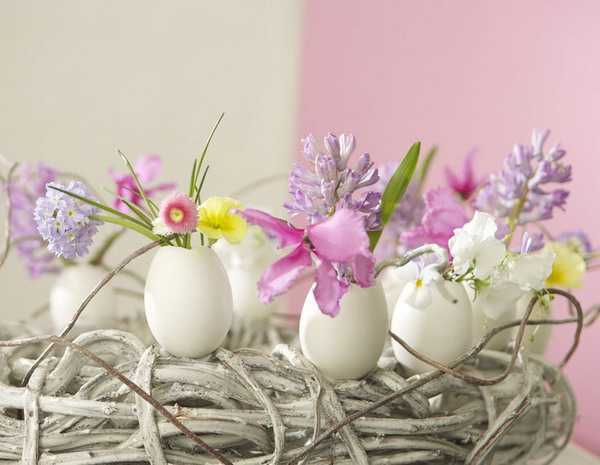 Simple and elegant egg shell candles centerpieces and table decorations with unusual bases attract the attention, enriching Easter ideas and enhancing an eco friendly and relaxing atmosphere in your home. 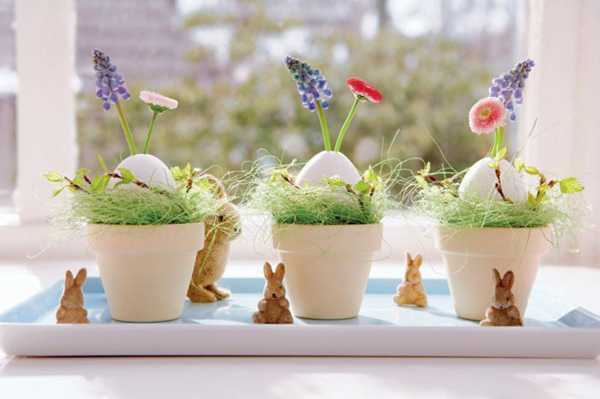 Easter ideas are powered by spring decorating colors and fresh flowers. 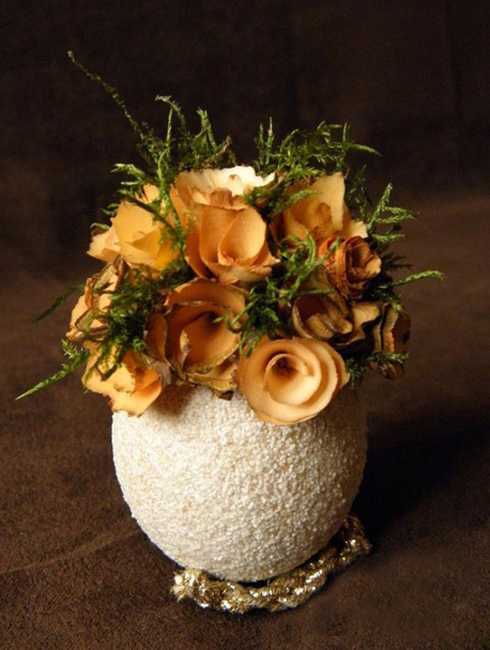 Egg shell candles centerpieces look fantastic with light table decor and beautiful flowers. 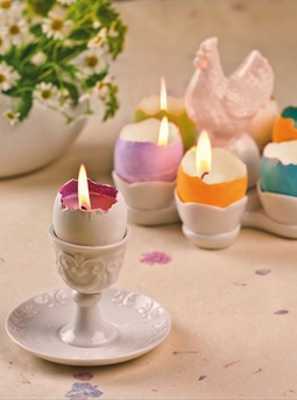 Naturally scented egg shell candles centerpieces add spring aroma and meaningful designs to Easter decoration. 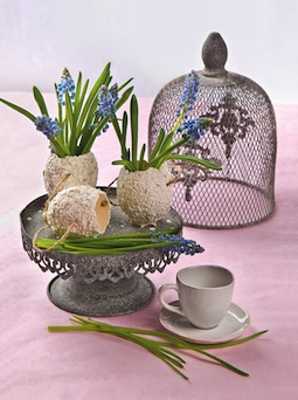 Fresh eggs can be easily transformed into unusual and original votives for your spring table decoration. Make a hole in the top of each egg with a pin, enlarge the holes, and pour out the yolks. 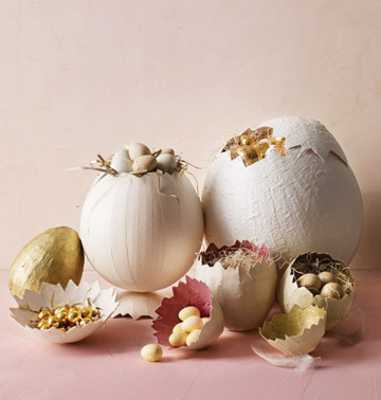 Clean shells, then dye them with food coloring or use white egg shells for designing wonderful candles centerpieces and table decorations with small spring flowers, moss or green grass. 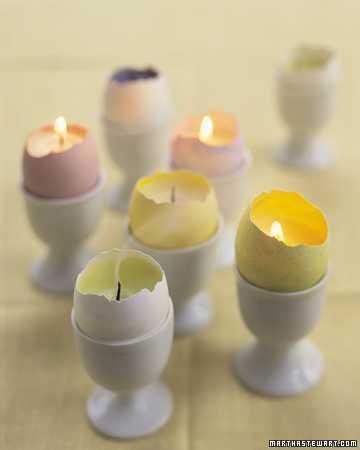 For making egg shell candle holders nestle shells in a carton. Cut wire-core wicks to 4 inches long, flatten one end, and fasten in an egg hell with a bit of warm wax. 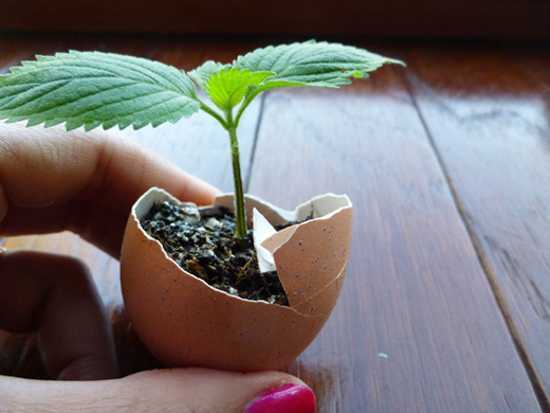 Using a funnel, fill egg shells with hot wax. Let the wax cool. 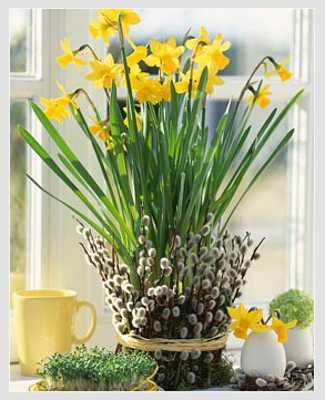 Trim the wicks, and create an attractive arrangement for spring table decoration. 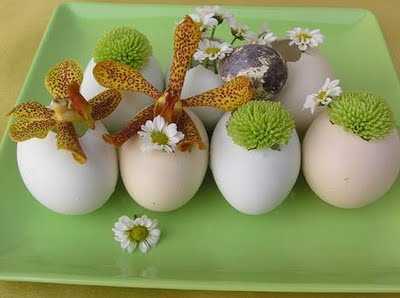 Shell candles centerpieces and table decorations created with egg shells, small spring flowers, moss and green grass are old craft ideas which creates charming, eco friendly and inexpensive spring decor, enriching modern interior decorating. 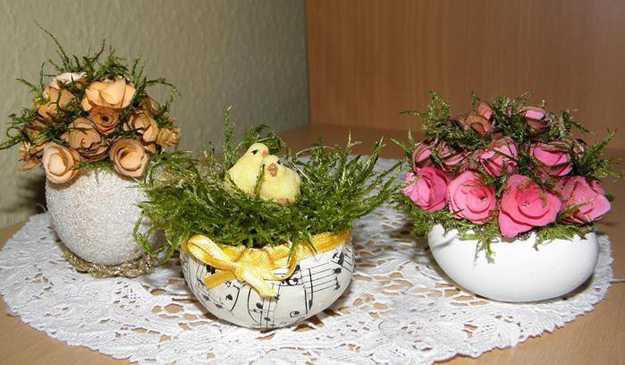 Easter is a great occasion to design beautiful and meaningful egg shell candles centerpieces and table decorations with spring flowers or green plants, that add unique texture, cute and creative designs, and a personal touch to holiday tables and fireplace mantel decorating. Candles centerpieces bring warmth and cozy light into table decoration. Made of natural materials, eco friendly candles are centerpieces that delight and charm. 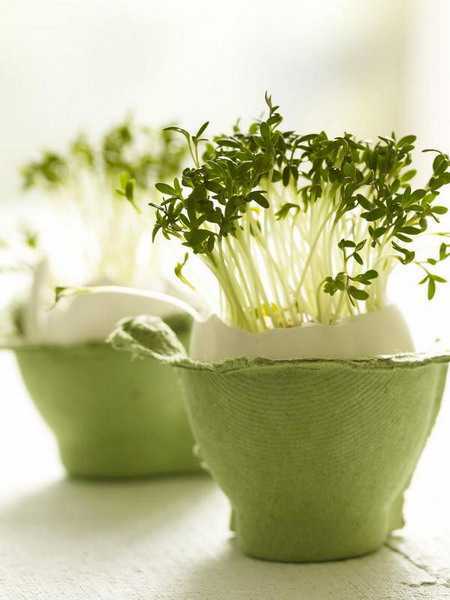 Egg shell vases and containers with small spring flowers, moss or green plants make wonderful table decorations that add a fresh and stylish look to Easter homes.